The global data science platform market will be valued at USD 290.9 billion by 2024, with a CAGR of 40.1% during the forecast period. The platform is being utilized for different business functions such as marketing, logistics, customer support, human resource, sales, majorly contributing to the demand for data science platform during the forecast period. The market has a huge demand for these platforms over the last few years it offers as more and more enterprises realize the benefits of this platform. Of all the business functions including marketing, logistics, customer support, human resource, sales, and others, the data science platform market was largest as the platform helps enterprises to achieve operational efficiency, dynamic pricing, and cost savings. The market is expected to witness the fastest growth for customer support functions during the forecast period. 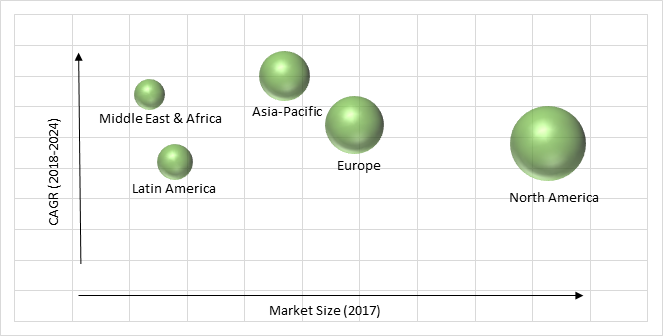 Among different verticals including IT and telecom, healthcare and life sciences, retail and consumer goods, transportation and logistics, media and entertainment, BFSI, and others, the data science platform market size was the largest for BFSI industry. BFSI sector utilizes these platforms for marketing analytics, collection analytics, risk assessment and reduction, fraud analytics, operation analytics, regulatory compliance, credit policy adherence and collection analytics. All these use cases are key to the efficient operations of BFSI sector, therefore, leading to the largest adoption of the products and services offered by the data science platform industry in BFSI sector. Advancements in big data technologies, increasing awareness regarding the benefits of these technologies among different enterprises or organizations and ease of use methods to drive businesses are the key factors leading to the growth in the data science platform market, globally. Also, the increased demand from the BFSI sector for the platform owing to the need for simplifying complexities of operations in the banking and finance sector significantly drive the global market. Increasing numbers of fraud in the banking sector related to accounting, credit cards, insurance, and others lead to the significant growth of the market. Data science technology helps banking and finance organizations proactively in fraud detection to provide its customers and associates security and maintain a long-term association. In addition, banking sector involves the technology in managing customer data, risk modelling for investment banks and personalized marketing. Banking and finance sectors have to collect, maintain and store massive amounts of customer data and thereafter analyzing it to not just make it compliant to regulations but also to create new revenue generation opportunities. Key factors hindering the growth of the data science platform market are lack of reliability on the technology, stringent government rules and regulations, data security and privacy issues and huge investment requirement. Also, the users of this technology require to regularly update their platform to make it reliable with advanced data tools and technologies, which is a key challenge for the growth of the industry. Geographically, the largest revenue from data science platforms is generated from North America. The supportive government initiatives developed banking and financial sector and high awareness regarding the benefits of the technology lead to the largest share of the region, globally. U.S. is the larger market in the North American market, due to the larger presence of banking and finance organizations and developed IT infrastructure across different industry verticals. Asia-Pacific is observed to witness the highest growth in the data science platform market during the forecast period. As the region offers immense opportunities for banking and finance sectors and large customer base. Also, the developing infrastructures for IT and telecom, healthcare and life sciences, and transportation and logistics require the need for efficient analysis of large volume data, thus fueling the growth of the industry in the region. Market players in the data science platform industry are integrating AI to advance its technology platform, thus gaining a competitive advantage over other players. In March 2018, IBM Corporation unveiled a new data science and machine learning platform and an elite consulting team to help enterprises accelerate their AI roadmaps. The new Cloud Private for Data of IBM is integrated data science, data engineering and app building platform. Alphabet, Inc., Wolfram, Microsoft Corporation, IBM Corporation, RapidMiner Inc., Domino Data Lab, Sense Inc., DataRobot Inc., Alteryx, Inc., and Dataiku are some of the key players offering platforms for data science. Table 148 Snapshot – Alphabet, Inc.
Table 152 Snapshot – RapidMiner Inc.
Table 154 Snapshot – Sense Inc.
Table 155 Snapshot – DataRobot Inc.
Table 156 Snapshot – Alteryx, Inc.